Is this for real? Is there any evidence for this? 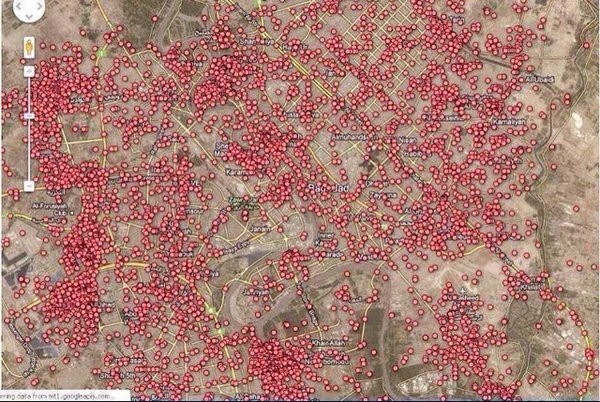 The map appears to be based on the same data set as this interactive map by The Guardian, which is of "every incident where somebody died" in Iraq, between 2003 and 2009, and is based on data obtained via Wikileaks. We took all these incidents where someone had died and put it on the map above. Of relevance to the question, from the raw data they provide, for the time frame reported (2004-2009), there were 2,107 IED explosions (which ought to include car bombings, which doesn't have a separate category), resulting in over 29,000 casualties, the vast majority of those being civilian casualties. Behind "Murder" (with >34,000 casualties), the IED category is by far the most bloody, causing nearly 3x the number of casualties as the next category (direct fire), and more than 1/4 of all casualties. Not the answer you're looking for? Browse other questions tagged war terrorism iraq .